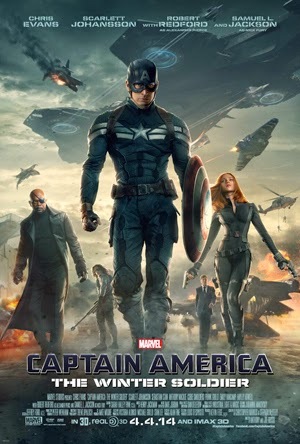 Captain America: The Winter Soldier (2014) is another offering from the big screen Marvel universe. It continues the on screen adventures of Captain America/Steve Rogers from the previous movie, Captain America: the First Avenger (2011). Drawing from the rich resources of the Captain America line of comic story arcs, The Winter Soldier is an attempt to connect the aging fans of the Captain America comic era and to introduce new fans to Captain America. This movie is an action packed non-stop punching, kicking and blowing up stuff that is the staple of movie making nowadays. And we get to see it in 3D too! Readers of Captain America comics will know who the Winter Soldier is. It is James Buchanan Barnes who was given the nickname “Bucky” at Camp LeHigh. Bucky was already a 21 year old highly trained assassin when he was assigned to be Captain America’s sidekick. Bucky was presumed dead when he fell off an experimental drone bomb plane created by Baron Zemo. Captain America fell off the same plane into the Atlantic where he was frozen until discovered in the twentieth century. Unknown to everyone, Buck was revived by the Russians, had amnesia and was brainwashed to become an assassin known as The Winter Soldier. The movie which is entertaining in its own right does raise some interesting issues to consider. Firstly, from the perspective of Captain America/Steve Rogers, the world is no longer black and white. Before he was flash-frozen, Rogers can distinguish the good guys from the bad. The good guys are Americans who are fighting to build a free world. The bad guys are the Nazi who planned to enslave the whole world. The world that Steve woke up to is no longer black or white. It is all gray! The seemingly good guys like Nick Fury, head of S.H.I.E.L.D has secrets, hired pirates to seize his own ship and then send in a tactical team to kill the pirates. Steve struggles with the new morality where no one is trustworthy. In a way, this reminds me of Tolkien’s Christian idealism in the Hobbit and the Lord of the Ring trilogy as opposed to George Martin’s Christian realism in his Game of Thrones series. Rogers represent idealism in his belief system. Christian realism seems to be all about politics and where the end justifies the means. Morality becomes a convenience not a duty and rule. Secondly, institutions seem to be easily subverted from within. S.H.I.E.L.D which originally stood for Supreme Headquarters, International Espionage, Law-Enforcement Division in the comics which was later changed to Strategic Hazard Intervention Espionage Logistics Directorate. In the Marvel movies, in a nod to the United States, it becomes Strategic Homeland Intervention, Enforcement, and Logistics Division. The original S.H.I.E.L.D according to the comic continuity was started by Nick Fury and Sergeant Rock of the Howling Commandos to fight HYDRA, a criminal organization founded by Baron Wolfgang von Strucker. In this movie, HYDRA has infiltrated S.H.I.E.L.D up to its highest level. In some way, this reminds of the institutional church. The church has in many ways being infiltrated up to its highest level by materialism, secularism, and religiosity. As in the movie, sometimes it is difficult to differentiate the institution from the infiltrators. Finally, there is the issue of the lack of identity. In the movie the Winter Soldier was mind wiped repeatedly and frozen after each mission. Bucky fought against his best friend, Steve Rogers. He had no idea of their past relationship. There may be an inkling of past memory surfacing when he saved Steve from drowning. Many of us seem to suffer from this loss of personal identity though we have not been mind wiped by electricity. Our postmodern lifestyle has no respect for the past. We seem to drift from moment to moment not knowing who we really are. 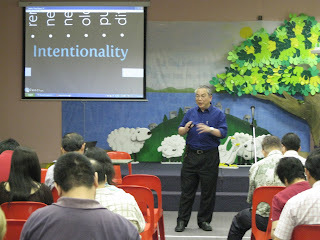 Many of us are shaped by the events of the day and act as if we are programmed to perform certain actions. We are victims of circumstances rather than being masters of it. Movies are the present day myths. The cinematic Marvel universe is creating a detailed mythology of heroes/heroines and villains and new perspectives of morality. I wonder whether we are influencing this new mythology or it is influencing us. Good review Alex. Had a fun time with this movie, even if I do realize that the twists and turns got a bit ridiculous after awhile.